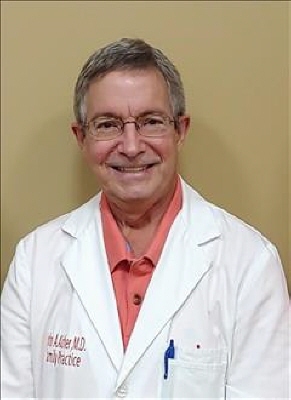 Dr. John A. Aicher, age 65, of Jasper, Georgia, passed away Thursday evening, February 7, 2019 at Wellstar Kennestone Hospital in Marietta, Georgia. Dr. Aicher was born April 19, 1953 in Easton, Pennsylvania to his late parents Donald F. and Anna Hayder Aicher. He attended college and graduated from medical school at Emory University. John was a member of Our Lady of the Mountains Catholic Church and owned and operated Comprehensive Healthcare of North Georgia. A funeral mass will be held at 2:00 p.m. on Wednesday, February 13, 2019 at Our Lady of the Mountains Catholic Church with Father Byrd officiating. A private family interment service will follow in Sunrise Memorial Gardens. Survivors include his children and in-laws, Dustin and Briar Aicher of Rome, Ashley Aicher and Chris Beltran of Jasper, Brian and Allison Aicher of Canton, Natalie Aicher and Cory Brumbelow of Charleston, SC; grandchildren, Carley Beltran, Melissa Aicher, and Andrew Aicher; brothers and sisters-in-law, Robert and Carol Aicher of Traverse City, MI and Gary and Sue Aicher of Virginia Beach, VA. His special dog Tazzie also survives. Family will receive friends from 4:00 p.m. until 8:00 p.m. on Tuesday, February 12, 2019 at Roper Funeral Home and Crematory. Flowers will be accepted, or memorial contributions may be made to Our Lady of the Mountains Catholic Church (1908 Waleska Highway 108; Jasper, GA 30143) or to the American Lung Association (2452 Spring Road SE; Smyrna, GA 30080) in memory of Dr. Aicher. Online condolences may be made to the family at www.roperfuneralhome.com. To send flowers or a remembrance gift to the family of John Albert Aicher, please visit our Tribute Store. "Email Address" would like to share the life celebration of John Albert Aicher. Click on the "link" to go to share a favorite memory or leave a condolence message for the family.